In my last post I shared some pretty compelling data on demographics and usage of facebook. "My customers aren't on Facebook...", is no longer an acceptable statement from any business, unless you sell directly to dead people or babies. As promised, in this post I am going to cover the basics of what you'll need to get rolling with a facebook business page. I think it's best to do some planning ahead of time with regard to metrics, goals and offers, but if you haven't even created a business page yet, let's start there. It can be helpful to use facebook a little bit first to recognize all of your options. Are You Going To Use Facebook Personally? You might be wondering why that matters. If you are, I can almost guarantee that you would have setup your business page incorrectly. The number one problem we run across with small businesses that setup their own facebook presence is that they don't grasp the concept of a personal profile versus a business page. Facebook's Terms and Conditions state that a business is restricted from creating a profile, because profiles are meant for people, not things. To create a business page, you must have a personal profile. This should show you your order of operations. 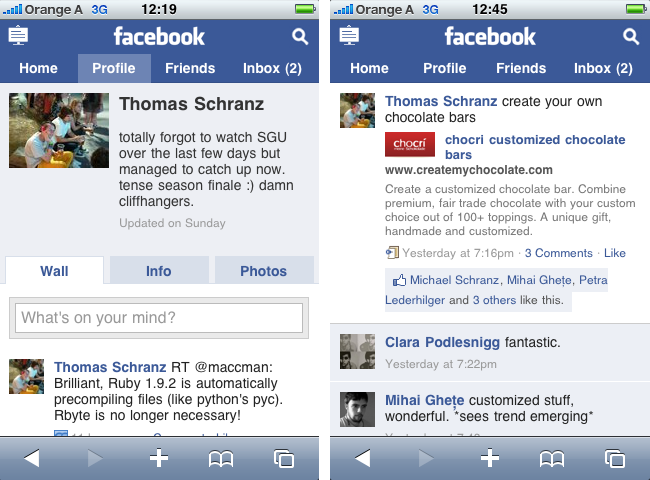 This brings me back to my question: Are you going to use Facebook personally? If you are going to use facebook personally, I highly recommend "Liking" a few larger brands to see what they are doing on facebook. Heck, you can even start by liking protocol 80 :). If you aren't planning on using facebook personally, then we recommend not adding a personal profile picture and only providing the required personal information. This will keep most people from adding you as a friend, thus eliminating your need to be involved personally on facebook. People that still request to add you as a friend can simply be ignored. Without a profile picture, it will be very difficult for most users to tell one faceless Bob Smith from another. Have Everything In Hand? Let's Create Your Business Page! We find the easiest way to create your business page is to visit another business's page. So, we need to search for a business we know. Why not search for protocol 80? When you see our logo, click on it! Be a Pal and "Like" us while you're there! Click the 'Create a Page' link. You will be taken to a page asking you what type of page you want to make. You want an Official Page, and depending on the size/nature of your business, you either want a Local Business page or a Brand, Product, or Organization page. Give the page a name. Your business name makes the most sense here... Click the 'Create Official Page' button and off you go! This doesn't mean your site is "published" as live. 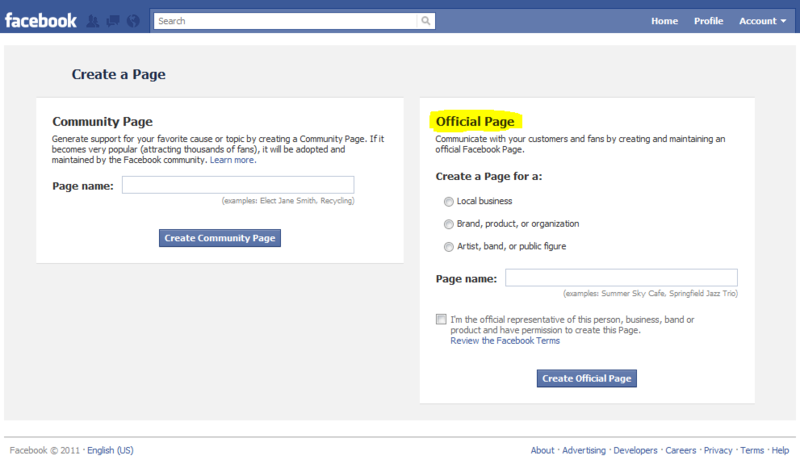 You will have that option when you start working with your page. Once your page is created you can start providing the information from above. Plug in your logo, services, events (if you have any), photos, and share some content. If you are new to facebook, you really need to look around at some other businesses on Facebook and see if you can come up with a strategy of your own for capitalizing on the "Likes" you have or plan to get. Struggling? Contact us! We can work with you to establish a plan for making your facebook page effective. We can even provide training if need be. In the next post on Using Facebook For Your Small Business, I will talk about some of the ways to promote your facebook page and get "Likes". Check back!